CY-1013 radar is capable of detection moving or stationary target on sea. 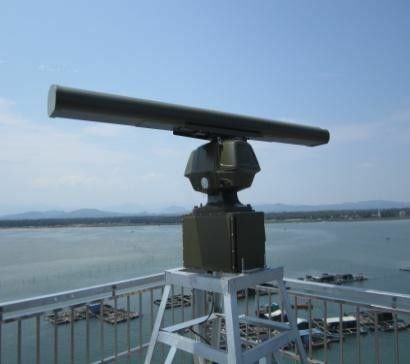 By utilizing the reflection characteristic of electromagnetic wave of the sea surface target and eliminating the effect of sea reflected clutter, it obtains target distance, direction, speed, reflection strength and target trajectory at high accuracy. Equipped with intelligent automatic alarm software can preliminarily distinguish the alarm level and transmit information to command center for comprehensive processing. CY-1013 can either independently work or under remote control of the command center.